For with the arrival of Lilian and Leonard Barber, a modern young couple of the 'clerk class', the routines of the house will be shaken up in unexpected ways. And as passions mount and frustration gathers, no one can foresee just how far-reaching, and how devastating, the disturbances will be. 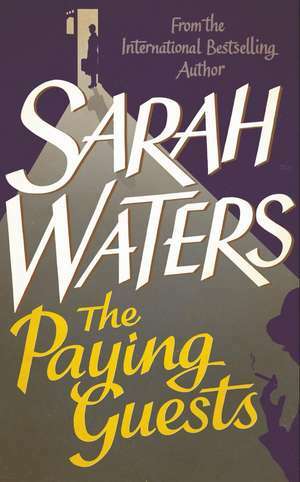 This is vintage Sarah Waters: beautifully described with excruciating tension, real tenderness, believable characters, and surprises. Sarah Waters was born in Wales. She has won a Betty Trask Award, the Somerset Maugham Award and her books have been shortlisted for the Man Booker Prize and the Orange Prize. Tipping the Velvet, Affinity, Fingersmith and The Night Watch have been adapted for television. Sarah Waters has been named Author of the Year four times: by the British Book Awards, the Booksellers' Association, Waterstone's Booksellers and the Stonewall Awards. She lives in London.